Back in July I was approached by Wallis to try out their style adviser app (can be used online too). I have to say that after 3 months I continue to be impressed with the weekly email suggesting clothing/accessories to suit my profile (took 3 mins to fill in). I cannot fault their selection of tops for me - perfect styles and colour for the season ahead - good job Wallis. Now which one to go for? 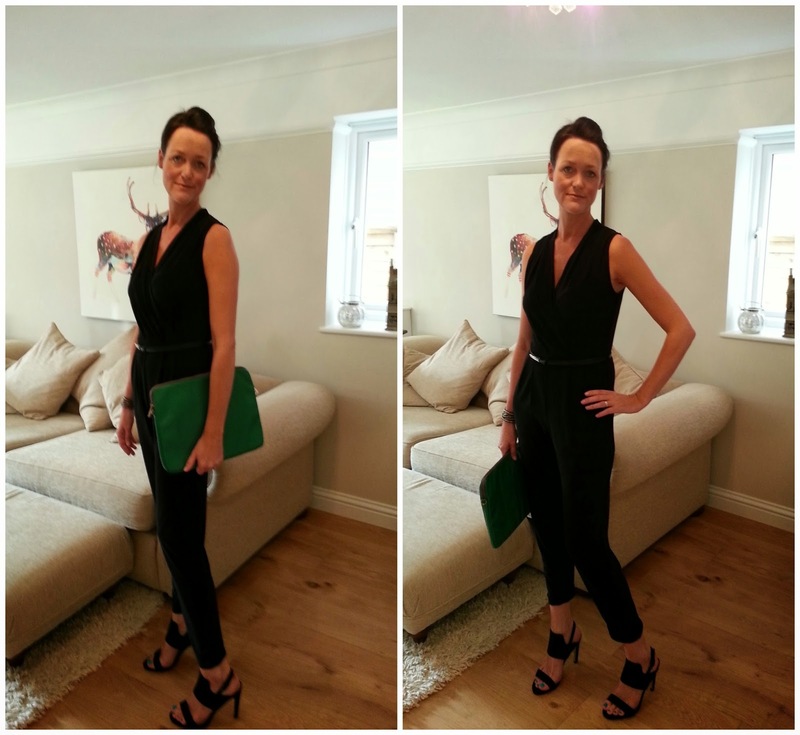 From last month I chose the jumpsuit to review because I have 2 x 40th birthday parties to go to over the next few weeks and I thought that this one outfit could serve both events. It feels good, silky smooth on and I was concerned that the open neck would hang incorrectly around my flat chest and expose the nothing space I have there and/or my bra strap wouldn't be covered. Not a problem, the fit is just perfect. The jumpsuit came up shorter in the leg for me but I'm 5ft 9 without heels so it's going to take a LONG jumpsuit to suit. My only gripe in the design is the loose bottom leg, I'd have loved it to perfection if it were more tapered/jersey bottom that I could have hitched up to make more of harem pant look. Even still, I *think* I can get away with it? Wallis is a good shop for me, on trend but not overly trendy and clothes built for a proper woman's body with shape. Always good for posing me!!! Think I'll have to look at this app Fiona, looking very glam in the jumpsuit, love it. This really suits you! I quite like the loose fitting at the bottom especially with those lovely shoes.